BERLIN (Bloomberg) -- Volkswagen AG said annual deliveries will exceed 7 million for the first time in 2010 after sales last month gained 16 percent. Deliveries at VW Group brands including the Audi luxury unit and Czech Skoda division increased to 617,000 units in November, VW said today in a statement. Eleven-month sales advanced 13 percent to 6.59 million. Volkswagen is benefitting from demand for models including the VW brand Golf compact and Audi A7 coupe, as well as booming sales in China, its largest market. Passenger-car deliveries in China surged 29 percent in November to a record 1.34 million, the China Automobile Industry Association said yesterday. VW expects unit sales to rise 11 percent to 7 million vehicles this year and the company will increase production from January through March at its main plant in Wolfsburg, David McAllister, prime minister of the German state of Lower Saxony, said at a works council event on Thursday. The company hasn't previously specified a 2010 delivery forecast beyond saying demand would beat the record 6.29 million cars, SUVs and vans sold last year. Four shifts will be added in January alone to meet growing sales of the Golf, McAllister said. “Volkswagen is booming,” said McAllister, a member of VW's supervisory board. The carmaker, which is 20 percent owned by Lower Saxony, plans to create more permanent jobs for temporary workers after offering unlimited contracts to 400 interim staff, McAllister said at VW's Wolfsburg headquarters. VW will invest 51.6 billion euros ($68.3 billion) in its carmaking business in the next five years as the company aims to surpass Toyota Motor Corp. as the world's biggest carmaker. The expansion plans rely on success in China, where VW is adding two factories to double production to 3 million cars within four years. Volkswagen said Dec. 6 that it aims to add 50,000 jobs globally in the period to 2015, with about 10 percent of new positions in Germany, VW's second-biggest market after China. The company's labor leaders are calling on Volkswagen to raise wages by 6 percent next year for 100,000 workers at its seven western German plants and the financial-services division. VW has countered that it will target pay increases closer to the 2.7 percent raise that engineering employees agreed to last February, topped up by performance-linked bonuses tied to record sales in 2010. 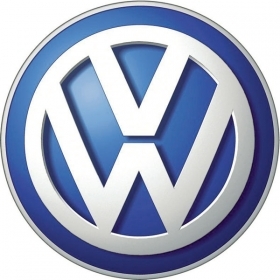 IG Metall, Germany's biggest labor union, represents VW employees in the pay negotiations. It's legally banned from calling strikes at the western German factories until Feb. 28, when a four-week cooling-off period expires.